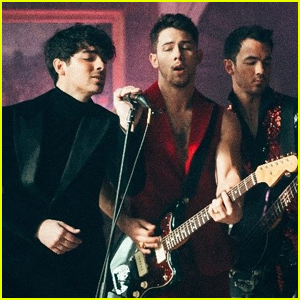 Even if you live under a rock, you heard about the return of the Jonas Brothers from their 6-year hiatus at the beginning of March. The song, “Sucker,” that they made their comeback with was well worth the long wait. Our favorite band of brothers is better than ever. Here are the 4 reasons why every teen and 20-something was obsessed with this revival. Okay, obviously this song (and reunion) didn’t just fall out of the sky, but the fans were given less than a week’s notice of the fact that the JoBros were back before “Sucker” was released. I think that this was intelligent public relations decision because there was no time for the initial boom of hype and excitement to fizzle out. In the song “Year 3000,” (which I recently found out is originally by a different band, but that’s besides the point) there is a line that is repeated that says “everybody bought our seventh album.” They haven’t released 7 albums yet, and this lyric is one that we all are hoping to wish into reality. Jonas Brothers. James Corden. Car. Singing. Yes. It’s a yes from us. A really cool element to the song is that it’s music video features Nick and Kevin’s wives, and Joe’s fiancé. They went from Disney channel boys innocently and sneakily dating Disney channel girls to married (and almost married) grown men. Their evolved musical style reflects this. “Sucker” is a grown-up extension of the romantic pop jams that this band is known for. The fans grew up too, and I am excited to see what else this iconic trio has in store for us in 2019.